North America’s most beautiful desert lake, Pyramid Lake as formed by the tears of Stone Mother, who wept so long and profusely for her exiled children that her tears filled up the lake, according to Paiute legend. She sat so long that she turned to stone, and there she still sits today, her basket next to her. Located 35 miles northeast of Reno, Nevada, Pyramid Lake is the property of and managed by the Pyramid Lake Paiute Tribe. The lake covers 112,000 acres in the reservation boundary and the scenery is spectacular; the color of Pyramid Lake changes from shades of blue or gray, depending on the skies above. Pyramid Lake is also surrounded by unusual rock formations, representing some of the Earth’s most spectacular tufa deposits. 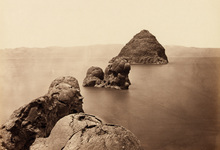 The pyramid-shaped island called Wono in Paiute, meaning cone-shape basket, is one such deposit. Most of the tufas formed between 26,000 and 13,000 years ago. 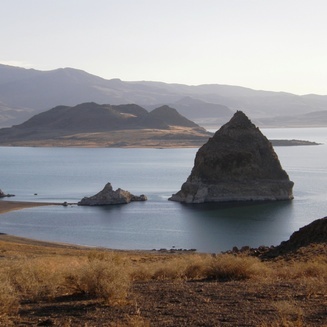 Today, Pyramid Lake is part of the National Scenic Byways Program and the only byway in the country located entirely within a tribal reservation. Pyramid Lake is the only habitat in the world for the Cui-ui fish that has been around for over 2 million years. The Pyramid Lake fishery includes the famous Lohanton Cutthroat Trout that have grown to record sizes and have lured fisherman from around the world over for several decades. Aside from fishing, visitors can also obtain a permits for camping, kayaking, stand up paddle boarding, mountain biking, and hiking. 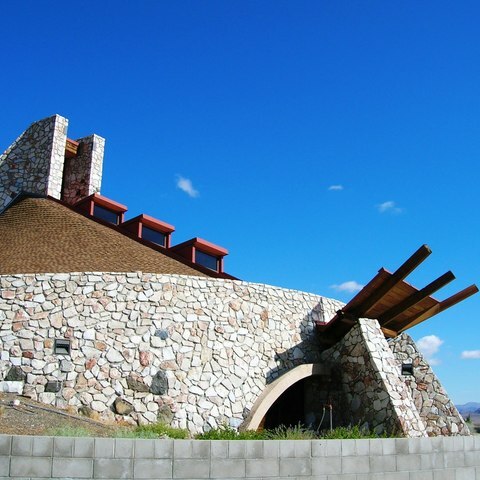 Visitors can get a sense of the Pyramid Lake’s importance to the tribe with a trip to the Pyramid Lake Paiute Tribe Museum and Visitors Center. 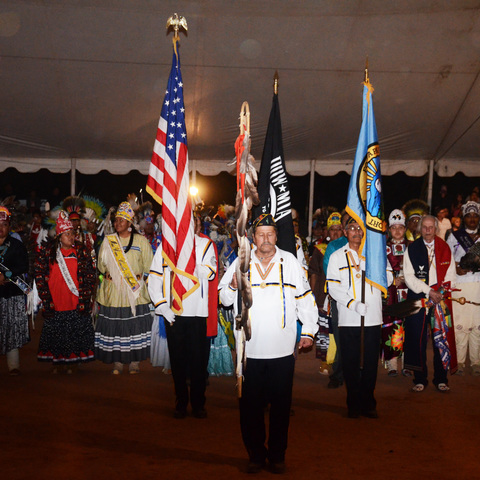 The multi-purpose museum features several exhibits and displays about the tribe’s culture and history, the natural history of Pyramid Lake and why the Paiute people hold it in such esteem. The Center also has artwork produced by tribal members for sale. Due to vandalism, graffiti, and theft over the years, the east side of the lake, Anajo Island, The Pyramid, and The Needles on the north side of the lake, are off-limits to everyone but tribe members. Highway 447 is America’s Solar Highway with 447 kW of solar installed in the past three years along 75 miles of the highway. Check out the Pyramid Lake Museum array–it is in the shape of an arrowhead and was designed in part by Konch Blindman, a member of the Paiute tribe.